Here are some more pictures from our July trip up the Hudson River. There are seven lighthouses on the river; presented here are six of them. Do you know which one is missing? Here they are, from south to north. 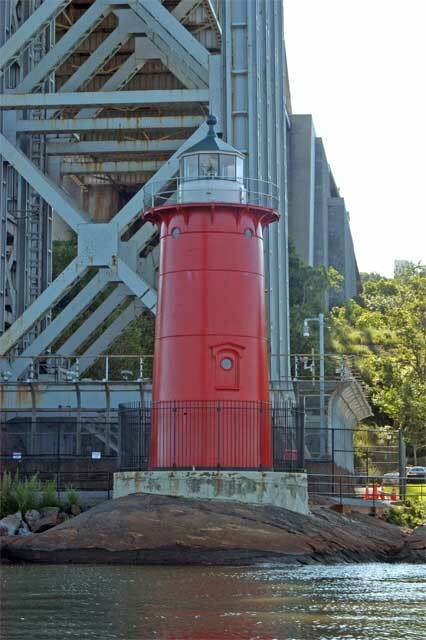 First is the Little Red Lighthouse (nestled beneath the Great Gray Bridge). This tower’s light was first lit in 1895. 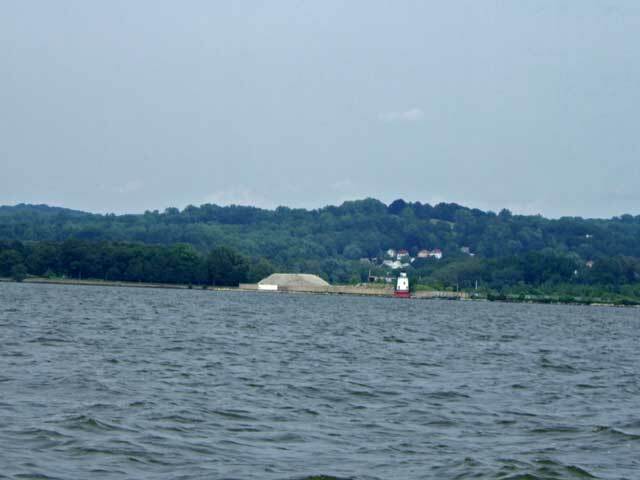 Farther up the river is the Esopus Meadows Lighthouse. The first lighting of the current tower was in 1872. Note the guys in orange painting the building. They were a work crew from some prison (one of the sweeter gigs, I would think). You can see the guard just to the right of the building. He was watching very carefully as we came by and took pictures; he really had no idea what a lousy getaway vessel Puffin would make! 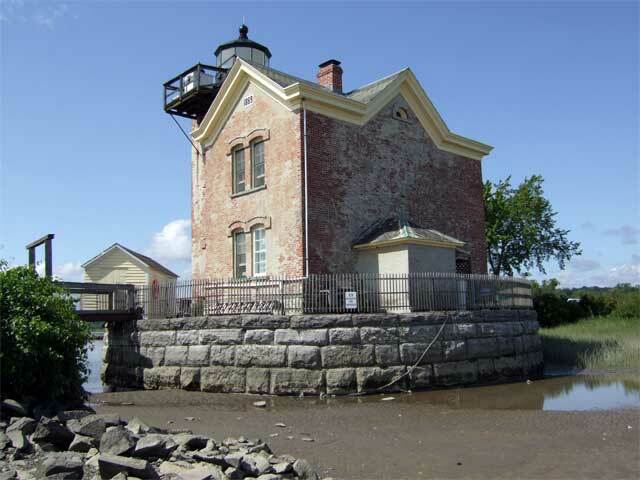 The Rondout Lighthouse is just outside Kingston, NY, the first capital of New York State. The first lighthouse here was built in 1838, but the current building dates from 1915. The Hudson River Maritime Museum runs tours out to this one. 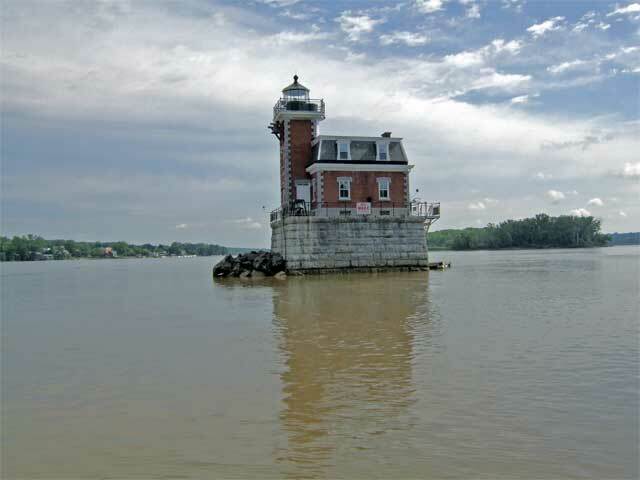 The really cool thing about the Saugerties Lighthouse is that you can stay in their bed and breakfast (but you have to make your reservations way in advance). The first lighting of this tower was in 1869. 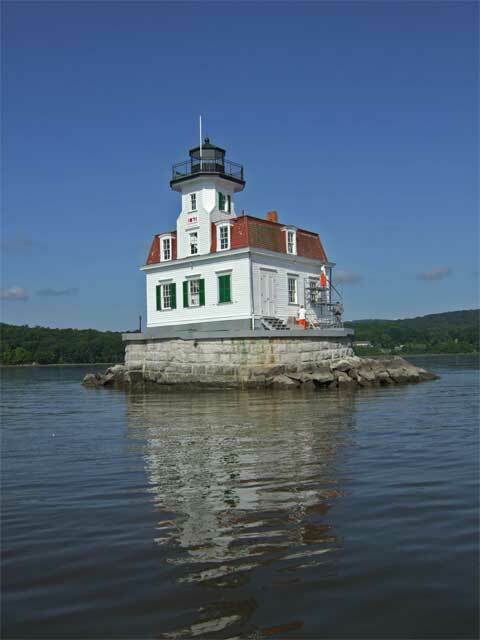 The northernmost lighthouse on the Hudson is the Hudson-Athens Lighthouse. This is the original building on this site. It was built and first lit in 1874. 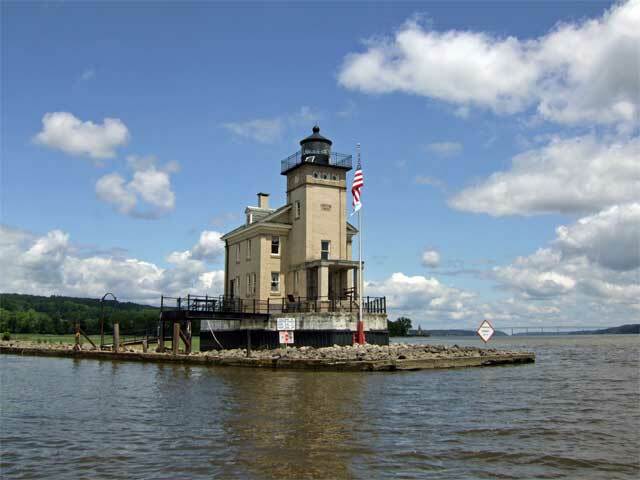 For more information on these lighthouses (and to discover which one is missing from these photos), check out the Hudson River Lighthouse Coalition. Love the lighthouse tour. Thanks for the comment on my blog. The world is full of adventures, isn’t it? Hard to imagine that some folks just sit around watching TV. Hope to see you soon.